EDITORIAL DAWN OF A NEW ERA On the bright cheerful spring day of 23rd March 1989, .Ahmad! 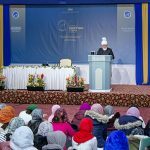 Muslims throughout the world celebrated the centenary of the Ahmadiyya Muslim Community founded by Hazrat Mirza Ghulam Ahmad of Qadian, the Promised Reformer whose advent had been foretold in most divine religions of the world. At the time of its inauguration, the .deep seated innovation within the Muslim society had vitiated the very infrastructure of the Islamic society and not only the religious consciousness of Muslims but also their entire conduct in life had become thoroughly alien to the faith professed and practised by the Holy Prophet of Islam, Hazrat Muhammed Mustapha, peace and blessings of Allah be upon him, In conveying his message to the world, the founder of the Ahmadiyya Muslim .Community, Hazrat Mirza Ghulam Ahmad declared: ‘When the 13th century of the Hijra came to a close and the beginning of the 14th century approached, I was informed by God Almighty, through revelation, that I was the Reformer for the 14th Century. I received the revelation: ‘The Gracious One has taught thee the Quran and has expounded its true meaning to thee so that thou mayest warn people of their evil end, those who through generations of neglect and through not having been warned have fallen into error.’ (I. Kitabul Bariyya) A few years thereafter, it was made clear to me through Divine revelation, that the Messiah whose advent among the Muslims had been promised from the beginning and the Mahdi whose advent had been Divinely decreed at the time of the decline of Islam and the spread of error and he who was to be guided directly by God and was to invite people to partake from the heavenly banquet, whose coming had been foretold by the Holy Prophet, peace be upon him, thirteen hundred years in advance, was myself.” (2. Tazkaratush Shadadatain) However, the purpose of Hazrat Mirza Ghulam Ahmad’s advent was not restricted to the reformation of the Muslims only. He also claimed to be the Promised Reformer whose advent had been awaited by the adherents of all other Divine religions of the world including Judaism, Christianity, Buddish and Vedantism. 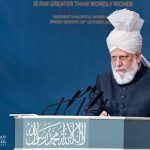 The’founder of the Ahmadiyya Muslim Community declared that he had been sent to achieve the common purpose of all earlier prophets and to unite mankind under the banner of one brotherhood. He stated: EDITORIAL 3 The great purpose of the advent of oil the prophets, peace be upon them, and the grand objective of their teaching and propagation is that mankind should recognise God Almighty and that it should be delivered from the sinful life which leads to hell and ruin. Now that God Almighty has established this dispensation and has raised me, the same common purpose of all the prophets is my purpose also. I wish to expound and exhibit what God is and! 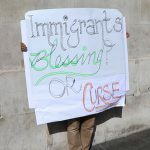 wish to .guide mankind’towards the avenues which enable mankind to escape from sin.’ (3. Malfoozat) Hazrat Mirza Ghulam Ahmad of Qadian also declared that God Almighty had appointed him so that he may: ‘remove the malice that, afflicts relationship between God and His creatures and restore the relationship of love and sincerity between them’ (4. Lecture Lahore) so that he may ‘gather together the righteous people under,-the banner of one faith.’ (5. Al Wasiyyat) To achieve this Divine purpose for which he had been commissioned, Hazrat Mirza Ghulam Ahmad of Qadian initiated the oath of allegiance, at Ludhiana in India on the 23rd of March 1889, hence effectively establishing a Community of faithful followers who were to make history in taking the message of Islam to every nook and corner of the world. 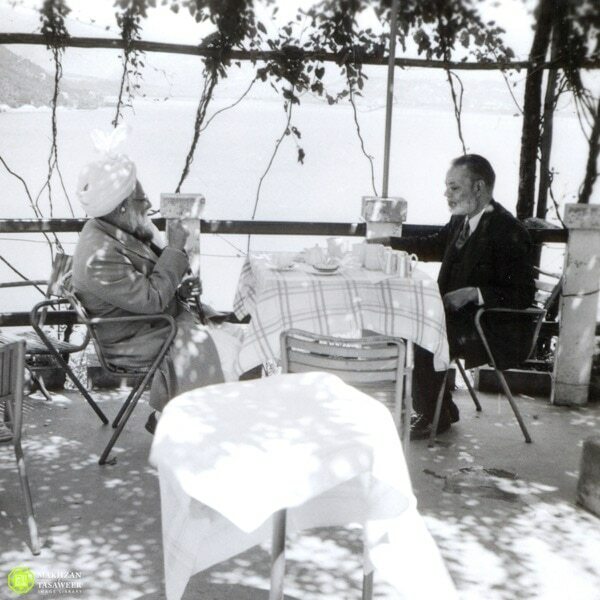 • While explaining the purpose of establishing the Ahmadiyya Muslim Community, its founder prophesied: ‘God desires to found a Community of the faithful so as to manifest His Glory and Power. He will make the Community grow and prosper and will enable it to establish the love of God, righteousness, purity, piety, ) peace and goodwill among men. This shall be a group of persons devoted to God Almighty. He shall strengthen them with His own spirit and He shall bless them and purify them. He shall multiply them exceedingly as He has promised and thousands of truthful men shall join His ranks. He shall Himself, look after them and make the Community grow, so much so that its numbers shaR amaze the world. This Community shall be a lighthouse so high that it will illuminate the four corners of the world and its members shall serve as models of Islamic blessings. And, there shall rise among them, till the day of judgement, such personages who will be the chosen ones of God Almighty in every respect. Thus has the 4 REVIEW OF REilGIONS Almighty decreed and He does as He wills’. (6. Announcement: 4th March, 1889 issued at Ludhiana) The year 1989 CE has witnessed the completion of the Ahmadiyya Muslim Movement’s first century.. During this period, the Community has truly amazed the world. Although it took birth in a remote corner of the Indian sub-continent, it has spread its wings to engulf the world. 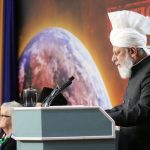 It claims a membership of over 10 million and over the last hundred years, it has realised such objectives as may not have been considered humanly possible for a Community of such humble origin^ The Ahmadiyya Muslim Community has been the first to convey the message of Islam to the people of such continents where Islam was either not known or was thoroughly misunderstood. It has pioneered the building of mosques in such countries of the world where a mosque’s minaret had never been seen by the local population. It has built institutes of education in such remote areas of the world where education was not a luxury but was in fact non existent. It has built hospitals and clinics in such depressed localities of the wo*rld where the local population previously looked no further than’black magic and voodoo. It has provided Islamic literature to educate not only the Muslims but also such people who had hitherto been totally ignorant about Islam. 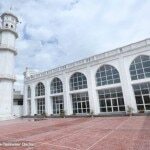 In short, the Ahmadiyya Muslim Community has achieved, in a period of one century, such feats as had not previously been accomplished by any single denomination in more than 1400 years of Islamic history. The dawn of the second century of the Ahmadiyya Muslim Movement brings in its wake, the dawn of a new era. A new era of hope in which the hardships of the first century could be looked upon as history. A dawn of a new era to build a glorious new future based upon the lessons of the past. A dawn of a new era of success, prosperity and peace. But, the dawn of this new era would demand considerably more from the Ahmadi Muslims. 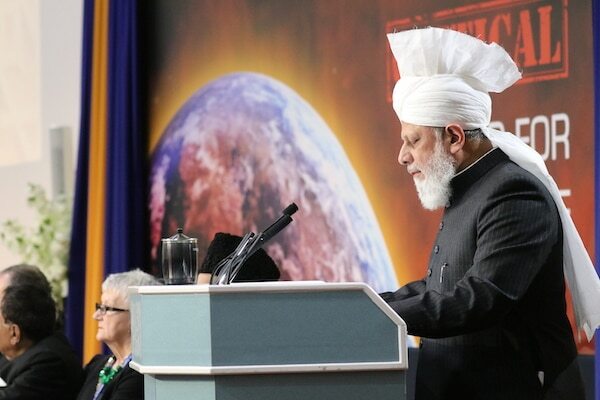 This was the message conveyed to the entire Ahmadiyya Muslim Community by its blessed Imam, Hazrat Khalifatul Vlasih IV when he stated : ‘Our hearts are filling with certainty that the approaching century will bring along with it glorious new successes and that the trying sufferings of the departing century will be reduced to unsavoury dreams in the brilliance of the rising sun of the new century. God willing, this will EDITORIAL 5 happen. The darkness of distress will disappear and the shining sun of new success will rise with all its glory and splendour. But behold! Let us pause and reflect. This will not happen like the ending of a romantic story where the dark clouds of trial, travail, tribulation and sorrow suddenly split apart and all suffering disappears and everybody lives happily ever after; . • , – . . . . . . . Remember that the dawn of a new day brings-with it new trails and success brings with it new responsibilities. The world’is but an atelier where there is no escape from endeavour and struggle; where action is life and inaction is death and where even sleep is said to be funerel.! (7. Message: Hazrat Khalifatul1 Masih IV: Souvenir 88, Karachi) Hence, the members of the Alimadiyya Muslim Community have to brace themselves for greater trails and higher responsibilities which the new century is expected to bring in its wake”. They have to gear themselves for what is expected of them if the hardships and sacrifices of the previous century are to have a meaning. May our. Lord, God Almighty give us all the strength to meet the new challenge which the second century of the Ahmadiyya Muslim Community brings in its wake and may we stand true to the expectations of our faith, Amin! CHRISTIAN VIEWS ON THE QURAN The best of Arab writers has.never succeeded in producing anything equal in merit to the Quran itself, is not surprising. (Introduction to the English Translation of the Quran, by Palmer). The Quran is unapproachable as regards convincing power, eloquence, and even composition (New Researches, by H. Hirschfeld, p.5). : • It is the one miracle claimed by Muhammad – his. standing miracle, he called it -“and a miracle it is indeed (Life of Muhammad, by Bosworth Smith).